Ready to take on Warrenton in a new vehicle, but want to be sure you’re getting a good deal? When you rely on our Kia finance deals and lease offers, you can drive home in your dream car for less. 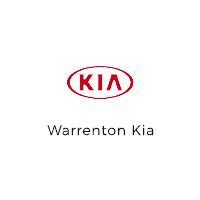 See what our satisfied customers have said about their experience here at Warrenton Kia, and then browse the Kia offers below. Whether you envision yourself driving through the streets of Longview in the surprisingly spacious Kia Soul, or even a Kia Sportage (the SUV that beats competitors like the Hyundai Santa Fe), we’re sure to have something that meets your needs. After you’ve taken a look at our current Kia incentives, estimate your future monthly payments with our online auto finance calculator. Ready to learn more about the Kia special offers available at Warrenton Kia? Contact us today to drive home in a new car at an affordable price, and visit our dealership near Astoria to test drive it for yourself!